The Boyne Mountain Resort, located in Boyne Falls, Michigan, is the ideal escape from a hectic lifestyle. This resort area offers a variety of activities for visitors including great ski opportunities, an indoor water park and golf. Boyne Mountain is an all inclusive resort region. 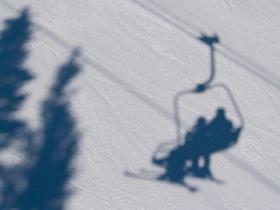 The resort offers a wide range of activities year round, with skiing being a popular option during the winter months. However, consider visiting any time of year for excitement and for an adventure. On Site Airport: One of the nice features about this resort that helps it to stand out from the rest is that it is pilot friendly. Visitors with smaller planes can fly in to the lighted jet strip. There are no landing fees or reservations needed for this service. Avalanche Bay Indoor Waterpark: Throughout the year, the Avalanche Bay Indoor Waterpark amuses guests. It is always 84 degrees within this massive water playground. The resort is 88,000 square feet, making it the largest indoor water park in the state. Visitors will find water rides, slides, a lazy river and surf simulation here. There is a play area for younger children, too. Disc Golf: For those who are looking for an outdoor activity during the summer months, consider disc golf. The resort offers an 18 hole course, mountainside. Each of the holes slopes down Boyne Mountain itself. You will take a chairlift to the first hole or a resort shuttle. Other amenities offered by Boyne Mountain include the Country Club of Boyne, daycare service for younger children and an arcade. A business center is also available, with preplanning, which includes computer access. Internet access does require paying a fee. For those who travel during the winter months, cross-country skiing is available at Boyne Mountain. This resort area is only minutes from Boyne Nordic Center on Boyne Mountain Road. This is where you can purchase trail passes. The trails are well maintained (though weather can affect this.) Visitors can take advantage of all 35km of groomed track, taking you through some of the most beautiful landscapes the region has to offer. Cross-country skiing options here are for all ages and skill levels. Those who are new to cross-country skiing can take instructional courses. You will also be able to rent all equipment you need, including apparel. Do plan to book these services in advance or contact the concierge when you arrive to ensure there is room for instructional courses. When you plan your trip to Boyne Mountain, keep in mind that there are several affiliated lodging options available. Availability is limited during some times of the year. Booking in advance will help to ensure you get the type of lodging you are interested in. Clock Tower Lodge offers hotel style lodging. Options are available for up to five guests. Suites are limited, but available. Creekside is a larger structure offering two and four bedroom accommodations. Up to 12 people can stay in some suites. Choose slopeside accommodations for a better view. Deer Lake Villas is another option in a condominium style lodge. Most units are two bedroom and sleep up to eight people comfortably. Edelweiss is another hotel style lodge. It is two floors with doors opening to the outside. Balconies are available for most rooms and some do overlook the slopes. Up to six people can sleep here. Mountain Cabins can be a popular option. Each cabin offers three or four bedrooms allowing up to nine guests to be comfortable within them. Most offer full kitchens and balconies. However, each cabin is unique. If you are looking for specific amenities, book early to ensure you get them. The Mountain Grand Lodge and Spa is the main building associated with the Boyne Mountain Resort. Here, you will find one to four bedroom suites, including studios. Hotel rooms are also available. Up to ten guests can stay comfortably. Once you plan your trip to Boyne Mountain, book accommodations quickly. Many of the best views in these hotels and other lodging options will fill up quickly. Slopeside accommodations offer views of the mountain's slopes, but not necessarily the skiing trails. To learn more or to book your trip, visit Boyne Mountain Resort online.